Glorious precision, flamboyant design, high-impact color selection these are the hallmarks of Deb's spectacular quilts! Step right this way to the spikiest, most precise points ever. This dynamic half of the QuiltMavens duo will show you how. Follow Deb's step-by-step instructions for the most error-free foundation paper piecing ever. The dynamic and complex-looking designs are easily constructed. No 'Y' seams, guaranteed. Print your own paper foundations from the CD-ROM that's included with the book and you're on your way to spectacular quilts. 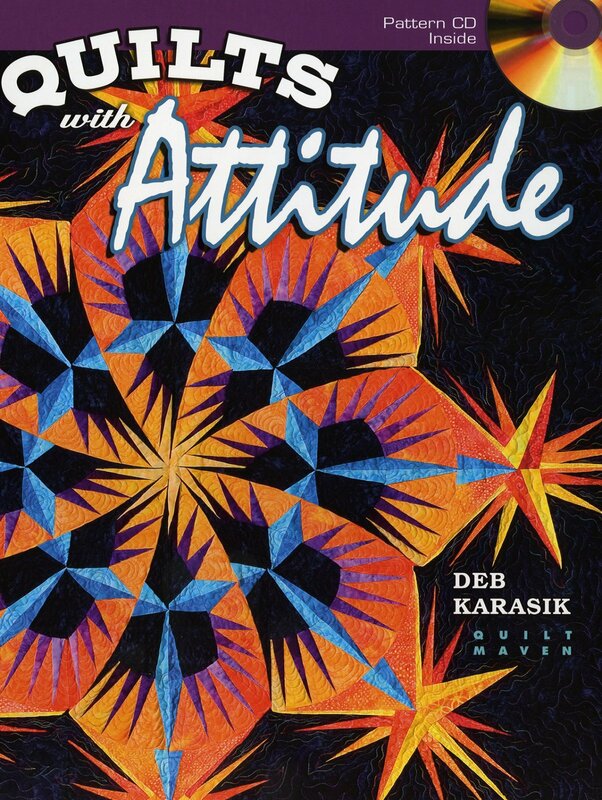 Deb Karasik, the Paper Piecing Queen of the QuiltMavens pair, is known for her intricate, spikey designs and her method that ensures ease and accuracy.